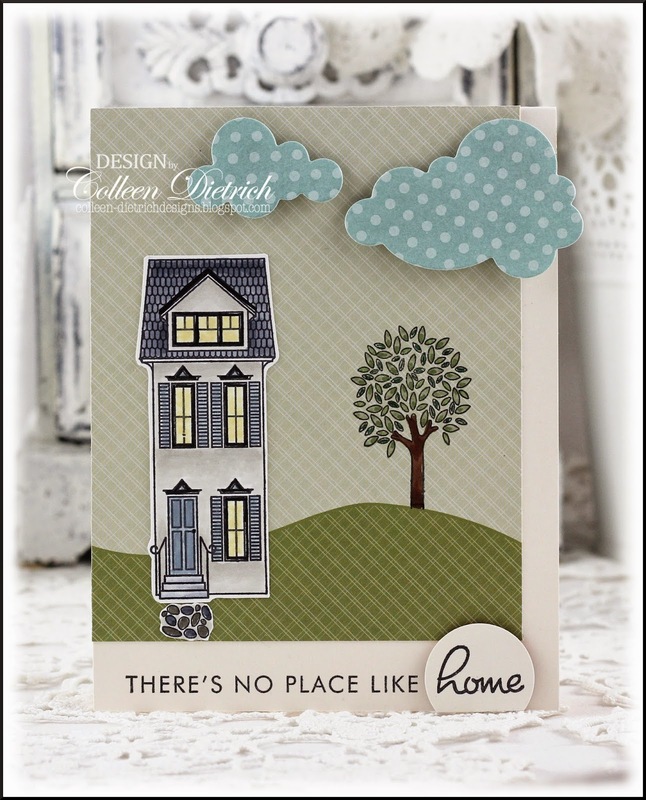 Love those yummy neutral colours and the way you split up the sentiment...it is such a cute layout too. deine Karte ist so süß. Ich liebe Häuser-Karten, und dieses haus hat sowas gemütliches mit dem Baum im Garten. Yes time does fly. We use to watch sound of music over and over. Miss those days! So gorgeous! I love love love the clouds and the houses!!!!! Sigh...I just love these to bits Colleen. The older I get the more this phrase rings true! I just love being snuggled in to my home sweet home! LOVE the sweet little scene!! Great cards both, Colleen. I especially like your paper and color choices. Bravo! 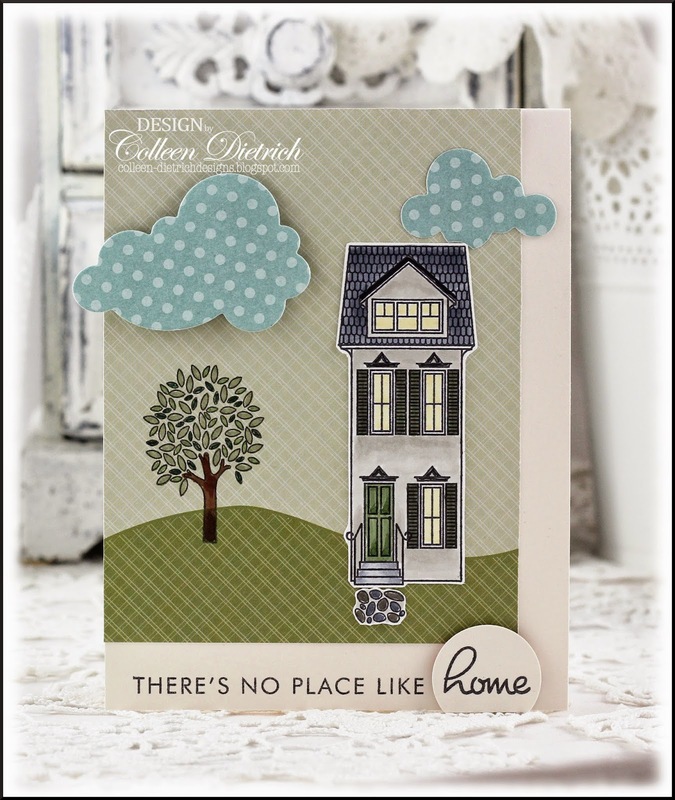 Love every bit of this card especially how you highlighted the home, Colleen! Wow wow wow you never cease to amaze me. I am in L_O_V_E with that house. Your card is a stunner! And...again happy birthday for Haley! These are so fun! LOVE the colors you used. "Home" on the circle looks like a stroke of genius, only to find out it's a creative way to hide a boo-boo. Love it... And would love to see a peek of the ruby red slippers. It looks like a very fun set and certainly cute cards! I love how your smudge turned into a great design opportunity! VERY cute cards Colleen! I really like the colors and those fun polka dot clouds. There is no place like home and this is a darling house! Love how you did the sentiment! Out of the messes come such creative ideas! These a precious! 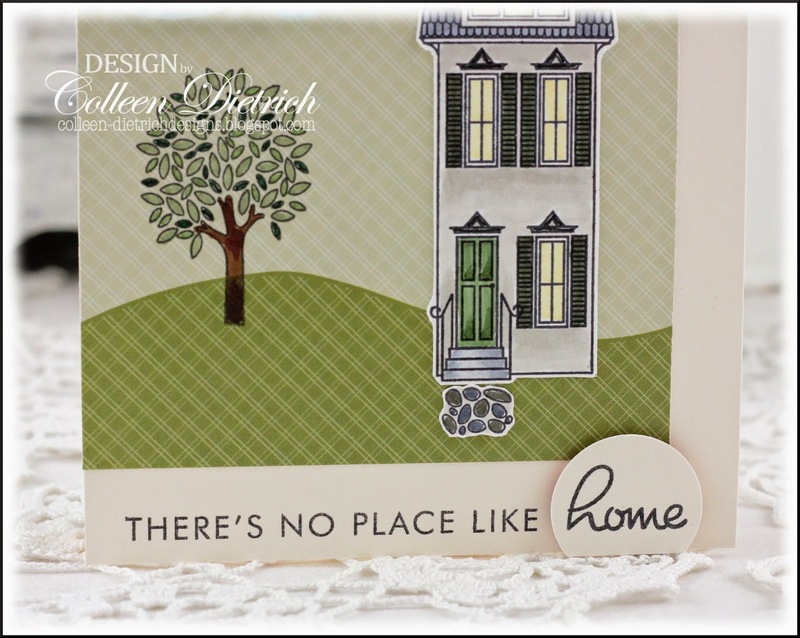 Great New Home cards - a lot of dimension and love that sentiment! Your story is so cute too - my kids never got into the story but I tried to get them into it! I dress Crystal up as Dorothy for Halloween a few times with ruby red slippers and she never got it. I love the old story and the Wicked stories too. Hugz!!!! Cute card! Love your smudge fix!